Harry Belafonte’s book not only tells his own story but also gives an intriguing look at US history from the late ’40s to the present. Somewhere amid the accounts of when he became the first artist to sell a million copies of an album, the first black leading actor to romance a white leading actress in a major Hollywood film, and the man who was asked to help pick out the clothes that Martin Luther King Jr. would be buried in, you realize just how extraordinary Harry Belafonte’s life has been. If Belafonte had simply pursued one strand of that life — the immensely popular singer, the Tony Award-winning actor, the powerful political and social activist — it would have made fascinating material for a book. That he managed to cram all three into his 84 years makes “My Song,’’ his captivating memoir written with Michael Shnayerson, not only a sometimes exhausting chronicle of Belafonte’s own story but an intriguing look at US history from the late ’40s to the present. The G.I. 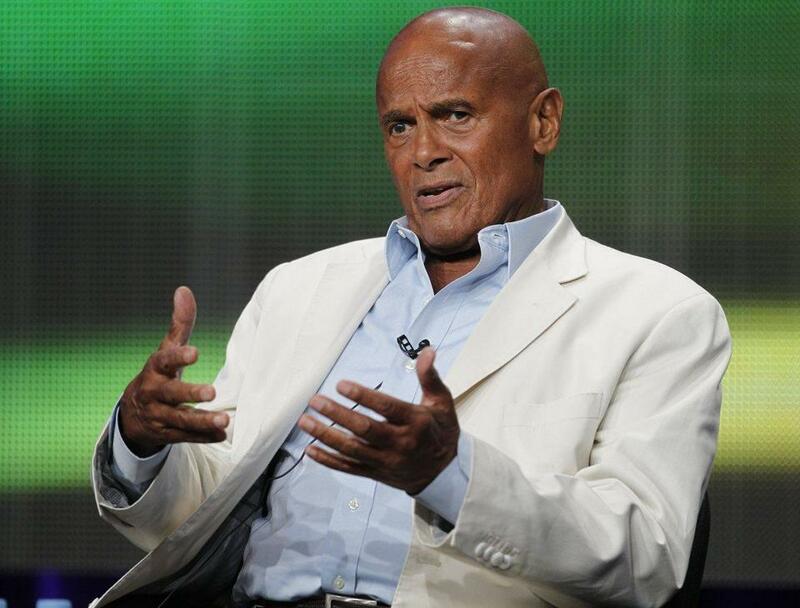 bill allowed Belafonte to take acting classes alongside Tony Curtis, Walter Matthau, Bea Arthur, and Marlon Brando. A casual friendship with jazz great Lester Young led to Belafonte’s club singing debut, where he was backed by the likes of Max Roach and Charlie Parker. And on it goes throughout the book as Belafonte crosses paths with a list of the most talented and influential people in the latter half of the 20th century, including Paul Robeson, Miriam Makeba, Frank Sinatra, Sammy Davis Jr., Dorothy Dandridge, King, Nelson Mandela, Fidel Castro, and John and Robert Kennedy. By the time the singer-activist is helping to build the USA for Africa endeavor that created “We Are the World’’ in 1985, a reader finds it almost hard to believe one man could have lived such a life. To his credit, however, Belafonte does not list only the bright moments. Perhaps thanks to more than a half century of therapy, to which he refers often, Belafonte unflinchingly details his gambling problems, a controversial interracial marriage, and political activities that drew the attention of J. Edgar Hoover. He also lays bare his not inconsiderable failings as a father and a husband — he was often absent and not always faithful. In that way, “My Song’’ is not so different from hundreds of other autobiographies of the famous and insecure, in which a celebrity tries to replace the love of withholding parents with the adoration of the masses, and then visits similar woes upon his or her own family. Unlike some of his peers, though, Belafonte is remorseful and refuses to rationalize his behavior even as he understands its seeds. One of the book’s triumphs involves the way Belafonte and Shnayerson manage to capture Belafonte’s distinctive voice — a mix of the street tough-hipster lingo of his New York life and the very proper manners and vocabulary he learned during stints in school in his mother’s native Jamaica. You can almost hear him narrate the story in his stately rasp as he rhapsodizes about the unrequited heat between himself and costar Dandridge during “Carmen Jones’’ in 1954 or the abject terror he and good friend Poitier felt in 1964 on a nightmarish drive through Mississippi while being menaced by the Ku Klux Klan, or the day “a skinny, scraggly-haired kid’’ by the name of Bob Dylan showed up to add harmonica to a Belafonte track in what was Dylan’s first recording session. To many, Belafonte is best-known as the singer of “Banana Boat Song (Day-O).’’ But his autobiography makes it clear that the “Song’’ of his life has been much more diverse, encompassing the heartbreaking ballads of poverty and loss, uptempo pop songs of fame and wealth, and deeply felt spirituals of dedication to social justice. The world is the richer for having heard them.